In the middle of 1963, a series of livestock attacks occurred in Haskell County, Texas. In a typical case, an Angus Bull was found with it’s throat slashed and a saucer-sized wound in its stomach. The local population attributed the attacks to a wild beast of some sort, a so called vanishing varmint. As it continued throughout the Haskell County, the blood-luster assumed somewhat more mythic proportions and a new name destined to endure, “The Haskell Rascal”. Throughout the following decade, there would be sporadic reports of similar attacks on livestock. In 1967 the most prominent of these infrequent reports was the mutilation death of Snippy the horse in Southern Colorado, which at the same time were accompanied by accounts of UFOs and Unidentified Helicopters. In 1978, the attacks increased, and by 1979, numerous livestock mutilations were occurring in Canada, primarily in Alberta and Saskatchewan. Attacks in the United States leveled off for a while, but in 1980, there was an increase in activity again. Since that year, mutilations have been reported less frequently, though this may be due in part to an increased reluctance to report mutilations on the part of ranchers and farmers. The mutilations still continue today, and over ten thousand animals have died in the United States alone, although the mutilations have been occurring worldwide, the circumstances surrounding the mutilations are always the same. A drug connection to these mutilations may be found inside the “YELLOW BOOK”. We found that, as the Terran Scientist learned about Longevity, (Secret of long life) the main basis for longevity was the capacity of human cells to recuperate. Anyone will grow old when their cells can’t be restored and they start a process of deterioration and die. The secret of longevity is the restoration of the cells. Cordrazyne or Cortropinex, (sometimes use only Formazinye and Hyronalinx, read “The Pulsar Project” for additional information on these and more drugs). All of these drugs have a base in Adrenalin, which is produced in the human brain. During the 60’s the scientists discovered that they can be synthesized from the medullary portion of the adrenal gland of the cattle. They need big quantities in order to synthesize a small portion of the mentioned drugs above. Of course, human scientist try to discover new applications and new synthesized drugs for recuperation of the cells, especially brain cells, and restoration to the human tissues and increasing the psychic and physical human skills. Any investigation which intends to probe the systematic occurrences of the mutilation attacks upon livestock and other animals must include within its preview certain factors which may or may not be directly related to the acts of mutilation themselves. These mutilations, the killing and furtive removal of external or internal parts, have been directed at literally thousands of animals, primarily livestock, since the 1960’s. The surgery on these animals is primarily conducted with uncanny precision, suggesting the use of a highly sophisticated implements and techniques. The numbing and persistent regularity of the mutilations and the seemingly casual disposal of the useless carcasses all hints at extreme confidence, even arrogant, of the mutilators. It is an arrogance which appears to be justified by the freedom and impunity with these acts have been carried out. These events, or the discussion of them, is just the precursor to the actual revelations of what is behind the mutilations: Alien acquisition of biological material for their own use. To discuss this in a logical and sequential manner, we must review what has been really happening right under our noses. 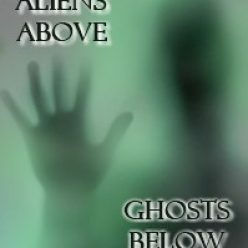 The direct interaction with Extra-Terrestrial Biological Entities (EBEs). To discuss that, however, we must attempt to start at the beginning with what we know to be true. The main interest to Aliens, (we talk specifically about Regelians) is breeding, with humans of course. They need the cattle’s tissues because they have the same carron cells as the human being at Genetic levels. All incisions would be made by Replicas, Clones, or Androids. They can send teams and take the material they need, and it doesn’t matter where or how much. If they need it, they just take it. This means that Rigelians are not Vampires, or that they need it for survival, but just immoral scientists that need material for experiments, (we really don’t know what is worse). The pertinence of a specific element of the problem is shortly revealed in the course of any thorough investigation into the mutilations. We refer to a appearance of unmarked and otherwise unidentified helicopters within a spatial and temporal proximity of animal mutilation sites. The occurrence of the two has been persistent enough to supersede coincidence. These mystery helicopters are almost always without identifying markings, or markings may appear to have been painted over or covered with something. The helicopters are frequently reported flying at abnormal, unsafe or illegal altitudes. They may shy away if witnesses or law officers try to approach. There are several accounts of aggressive behavior on the part of the helicopter occupants, with witnesses chased, buzzed, hovered-over or even fired upon. At times these choppers appear very near mutilation sites, even hovering over a pasture where a mutilated carcass is later found. They may be observed shortly before or after mutilations occur, or within days of a mutilation. The intention here is merely to stress that the mystery helicopters did not develop concurrently with the animal mutilations themselves. Such helicopters, unmarked, flying at low levels, soundless, or sounding like helicopters, have been reported for years, and have been linked to an even more widespread phenomenon, the “Phantom” fixed wing aircraft. As far as Tom Adams is concerned, the answer, could be a combination of the above explanations. There also has been speculation that they are involved in biological experiments with chemical or biological warfare or the geobotanical pursuit of petroleum and mineral deposits. On one occasion, an Army Standard Type Scalpel was found at a mutilation site. Since the disks have been mostly involved with the mutilations, it is thought that this was a diversionary event. In fact both, Alien and the U.S. Government are responsible for mutilations, but for different reasons.